The huge spitting Stitch that was missing over the entry to the World of Disney is now back spitting at unsuspected guests as usual. It is being reported that a 100 lane bowling alley is to be built at Disney's Wide World of Sports Complex. The bowling alley will be used to house professional bowling tournaments and will house stadium seating and a restaurant for spectators. No word on whether the alley will be used for the average guest on days that it is not being used for tournaments. The bowling alley is set to open in 2011. 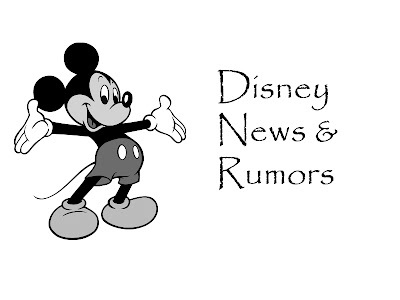 Some rumors are circulating about the Pixar Place area. It's rumored that next year, they might have a holiday version of Toy Story Midway Mania to unveil. The new shop and meet and greet spot are close to being finished. Wall-E is supposed to start appearing on Pixar Place as well sometime this month. It's been rumored that there may be an attraction going into Soundstage 1...also there might be something Cars related to replace the Backlot Tour. Also possible rumored changes included changing the Honey I Shrunk the Audience play area to A Bug's Life play area. And a restaurant and shop in the area might get a Pixar update. The new counter service restaurant that is being built across from TSM is rumored to be called "Hey Howdy Hey Take-Away" and will offer mostly snack food options. There should be announcement in July about the status of Pleasure Island. The next marketing campaigned is rumored to not be so gimmicky meaning nothing like the Year of A Million Dreams or the Happiest Celebration on Earth. This marketing campaign is likely to be very low key. An update from last week's rumor mill: Unless things have changed, Space Mountain is scheduled to go down for refurb between the 1st and 9th of January 2009.